Murder, She Meowed. November 1996. Murder on the Prowl. April 1998. Cat on the Scent. March 1999. Pawing Through the Past. May 2000. Claws and Effect. February 2001. Catch as Cat Can. February 2002. The Tail of the Tip-Off. March 2003. Whisker of Evil. April 2004. Puss ‘n Cahoots. March 2007. The Purrfect Murder. February 2008. Cat of the Century. April 2010. Hiss of Death. April 2011. 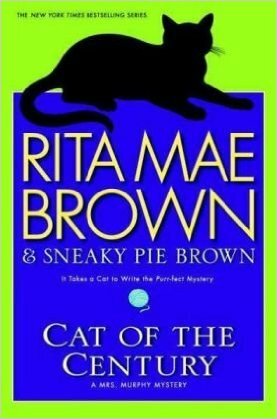 The Big Cat Nap; The 20th Anniversary Mrs. Murphy Mystery. April 2012. Sneaky Pie for President. August 2012. The Litter of the Law. October 2013. Nine Lives to Die. June 2014. The setting is Crozet, Virginia; a small town in horse-breeding country. The regular human cast is Mary Minor “Harry” Haristeen, the town postmistress in the first novel and divorced from veterinarian Pharamond (Fair) Haristeen, whom she remarries in a later novel after she leaves the local post office, and Harry’s human friends and neighbors – the series is a continuing soap opera of the humans of Crozet: Susan Tucker, Harry’s best friend; Boom Boom Craycroft; Big Marilyn (Mim) and Little Mim Sanburne, the mayor’s wife and daughter; Deputy Cynthia Cooper; “Market” Shiflett, Crozet’s grocer; Reverend Herb Jones; others. The animal detectives, who talk in italics, are Harry’s gray tiger cat Mrs. Murphy and Welsh corgi, Tee Tucker, and “Market” Shiflett’s grumbling, overweight tagalong cat Pewter; and later other Crozet residents’ animals including cats Cazenovia, Elocution, and Lucy Fur, the Labrador Brinkley, and Harry’s horses Gin Fizz, Poptart, and Tomahawk. 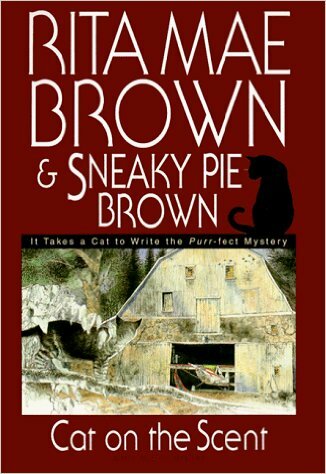 Other local animals that regularly chat with the three animal detectives include Paddy, Mrs. Murphy’s tomcat “ex-husband; Simon, a shy opossum; and in later novels Flatface, a barn owl, barn mice Arthur and Martha, and swallows Madison and Thelma. Many other animals have bit parts in one novel or another, including Owen Tudor, Tee Tucker’s brother; various horses and hounds; and such local wildlife as foxes, bobcats, barn mice, a blue jay, snakes, and so on. The novels have attractive illustrations by such artists as Wendy Wray, Itoko Maeno, and Michael Gellatly. 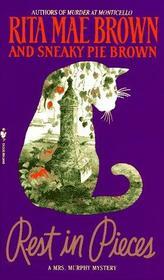 Two seriously unconvincing “rules” are that, while all the animals can talk with each other, they can never figure out how to communicate with humans; and that for all the “detecting” that the animals do, the mystery is ALWAYS solved by Harry alone. The animals may or may not bat clues out where Harry can find them, but it’s Harry who unmasks the killers. A couple of the novels have been anomalies. In Cat on the Scent, the animals are particularly adept at arranging for Harry to find clues; and when a man is shot in his car, the animals drive him to safety with Tee Tucker on the gas pedal while the two cats twist the steering wheel. This looked like the animals were about to “come out into the open”, but they reverted back into background anonymity in the next novel. Sneaky Pie for President is a satire on American presidential bidding politics that is a false Mrs. Murphy novel. Neither Mrs. Murphy nor Harry Haristeen are present. 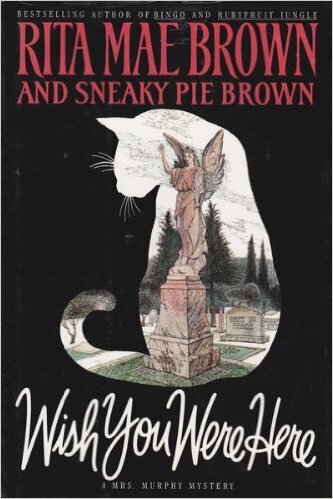 Instead, “Sneaky Pie herself” and Tally, Rita Mae Brown’s pet Jack Russell terrier who is not in the Mrs. Murphy novels, appear with Pewter, Tee Tucker, and plenty of Virginia birds, mice, horses, and Cyril the gray fox to comment on humans. “‘How’d they pay for government before 1913?’ Dixie [a horse] asked. But the animals can’t figure out how to communicate with the humans. Yeah. 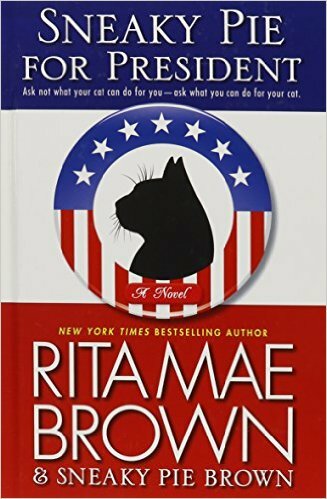 Rita Mae Brown has two similar series that may be of interest to furry fans: the Outfoxed series of “Sister” Jane novels, and the dog novels with Mags Rogers & Baxter and Jeep Reed & King. 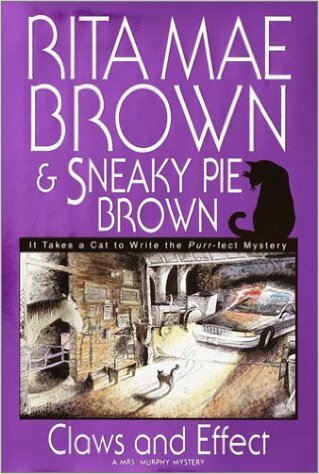 These are not “co-authored” by Rita Mae Brown’s pet cat. 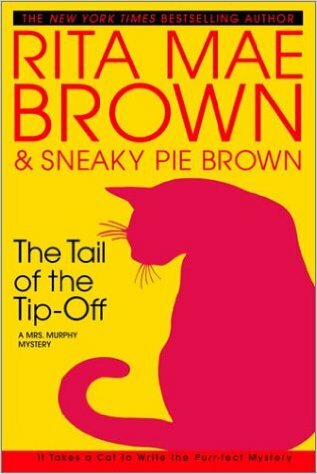 Brown has said that she discovered Sneaky Pie at the Albemarle County SPCA; therefore she was born sometime before the first Mrs. Murphy book was published in November 1990. The average lifespan of the housecat is 12 to 15 years, although cats have been recorded as living into their 30s. If Sneaky Pie is still alive, she must be very old today. The Hunt Ball. September 2005. The Hounds and the Fury. October 2006. The Tell-Tale Horse. October 2007. Hounded to Death. October 2008. Let Sleeping Dogs Lie. November 2014. Illustrated with sketches by Lee Gildea, Jr. “Sister” Jane Arnold, as she is called, is the 70-odd-year-old master of foxhounds of the prestigious Jefferson Hunt Club of Albemarle County in Virginia’s Blue Ridge Mountains. 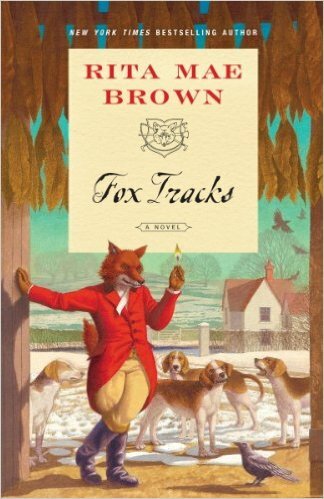 The series features the modern world of traditional Southern fox hunting in all its regalia. 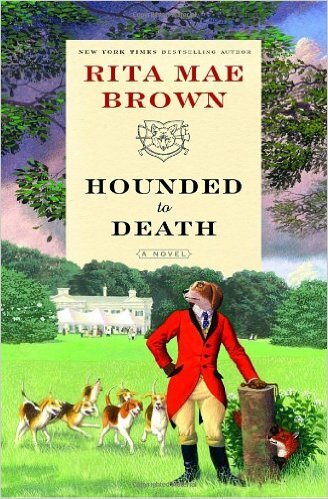 Each novel involves one or more murders among the high-class members of the hunt club and its associates. Either the feisty and sharp-tongued “Sister” Jane solves them, or she discusses their solving. There is plenty of commentary in italics among the hounds and horses of the hunt club, including the hounds Dragon, Cora, Betty, and Thimble, the horses Lafayatte, Outlaw, and Matador, and the local red foxes like wily Uncle Yancy and Aunt Netty, and other domestic pets and wildlife like Golliwog the cat and St. Just the crow; but unlike the animals in the Mrs. Murphy series, none of them pretend to help in “Sister” Jane’s investigations. In Fox Tracks, Target the fox leads a hunt to a human body, but that’s as a vulpine joke, not to help solve a crime. The most attractively anthropomorphic thing about this series is the cover artwork by Peter Malone. A Nose for Justice. October 2010. Illustrated by Laura Hartman Maestro. 34-year-old Magdalene “Mags” Rogers, an ex-Wall Street investment banker, with Baxter, her wire-haired dachshund, starts a new life with her great-aunt Magdalene “Jeep” Reed who raised her, and King, Jeep’s German Shepherd mix, on Jeep’s large Wings Ranch near Reno, Nevada. Crime and murder abounds. 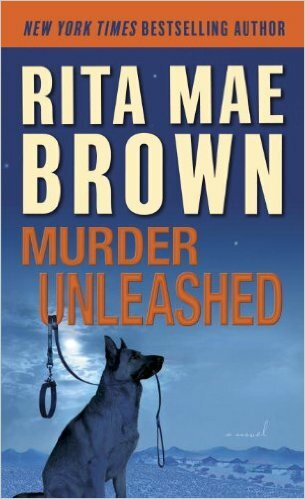 Mags and her new boyfriend, Deputy Pete Meadows, do all the investigating in the first novel while Baxter and King kibitz. The canines take a more active role in the second novel, with more of them: Zippy, an Australian kelpie; Ruff, a coyote; Toothpick, a Manchester terrier; others. “A skinny Manchester terrier scooted out behind a dead bush at Donald’s to follow the two dogs. ‘Who are you?’ Baxter turned his head. ‘I live next door. Help me.’ The little dog trembled in the cold. He was skin and bones, no fat to fight the frigid temperatures. ‘Stick with us. We’ll get you food,’ King said.